The 18:9 Aspect Ratio Displays on Smartphones is one of the biggest Trend started in 2017. The Bezel Less Display first appeared on Xiaomi Mi Mix, and now it is on most of the phones. Bezel Less gives an extra edge to the Smartphone Design and makes more attractive. Nowadays most of the users want to have the Bezel Less Smartphone. Thanks to the Smartphone Companies that provides bezel-less phone at an affordable price. There are some smartphones with Bezel Less Display that you can get at starting price Rs.6000. Here are 5 Best Bezel Less phones under 15000 that you can buy. Do You like Bezel Less Display on the Smartphones? I guess so that’s why you are looking for the Best Bezel Less phones under 15000. Also, put your opinions about Bezel Less display. The Price of Smartphones on 5 Best Bezel Less phones under 15000 may vary a little according to services. In coming years we may see the huge increase in the percentage of Bezel Less Smartphones. Bezel Less feature is now one of the factors that appear on the most of the Flagship Smartphones. 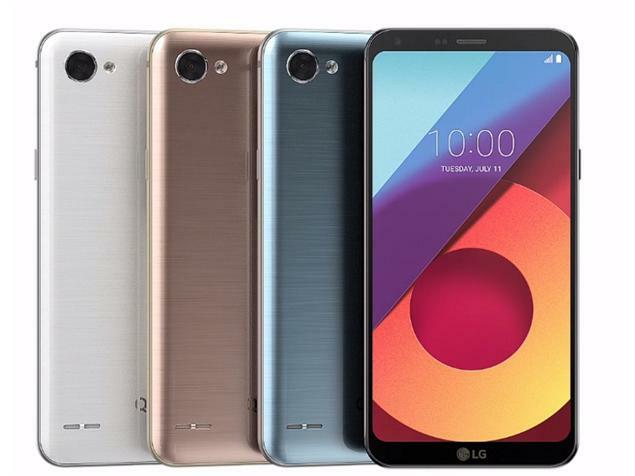 LG Q6 runs on Android Nougat 7.1.1 based on LG UX 6.0 UI and features a 5.5-inch Full HD+ (2160×1080 pixel) resolution, 18:9 Full Vision display. The smartphone packs with 3,000mAh non-removable battery and powered by 1.4Ghz 64-bit Snapdragon 435 octa-core processor. It comes with 3GB RAM and 32GB inbuilt storage which is further expandable up to 2TB via MicroSD card. The device is packed with Adreno 505 GPU. 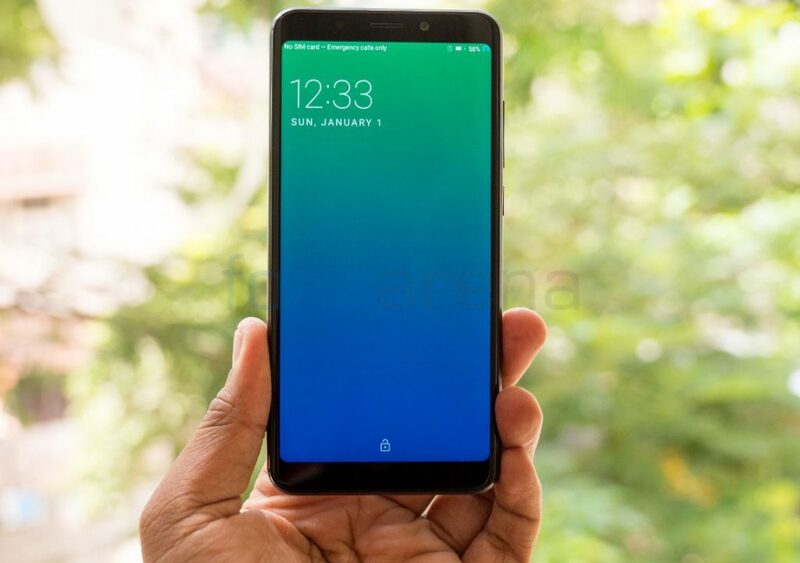 5 Best Bezel Less phones under 15000 – The LG Q6 bears a 13-megapixel camera on its back with an LED Flash and 5-megapixel camera on its front with 100-degree wide-angle lens. In connectivity, it includes 2G, 3G, 4G LTE, WiFi 802.11 b/g/n, Bluetooth 4.2, FM Radio, Hotspot, NFC, and more. The smartphone also has integrated with Google Assistant and features like face recognition, square camera, steady camera and more. You can get LG Q6 for Rs.13,300. More on 5 Best Bezel Less phones under 15000. Canvas Infinity runs on Android 7.1.1 Nougat which is upgradable to Android 8 Oreo. It comes with a 5.7-inch HD+ (1440×720 pixels) IPS display. The smartphone packs a 2,900mAh of the battery. The device comes with 32GB of inbuilt storage which is further expandable up to 128GB via microSD card. The Micromax Canvas Infinity is powered by a 1.4GHz Quad-core Qualcomm Snapdragon 425 processor with Adreno 308 GPU. It is coupled with 3GB of RAM. The smartphone features with a 13-megapixel camera at the back with a LED flash,f/2.0 Aperture,1.12um pixel size and in Front it features a 16-megapixel camera with LED Flash and f/2.0 Aperture. In connectivity, it includes Dual SIM, 4G VoLTE, Bluetooth, Wi-Fi 802.11 b/g/n, Micro-USB, GPS and more. It is available for Rs.9,200. The phone deserves to be in the 5 Best Bezel Less phones under 15000 list. 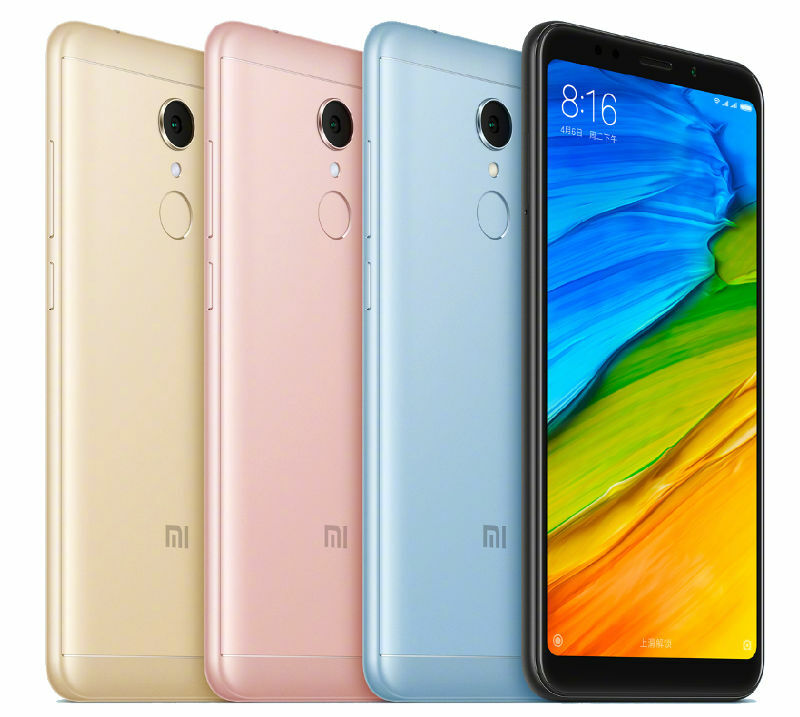 Redmi 5 runs on Android 7.1.2 Nougat (MIUI 9) further, it can also get an update to Android 8 Oreo. It comes with a 5.7-inch HD+ (1440×720 pixels) IPS display. The smartphone packs a 3,300mAh of the battery. The device comes with 16/32GB of inbuilt storage which is further expandable up to 128GB via microSD card. The Redmi 5 is powered by a 1.8GHz Octa-core Qualcomm Snapdragon 450 processor. It is coupled with 2/3GB of RAM Respectively. The smartphone features with a 12-megapixel camera at the back and a 5-megapixel camera on the Front. In connectivity, it includes Dual SIM, 4G VoLTE, Bluetooth, Wi-Fi 802.11 b/g/n, Micro-USB, GPS and more. 5 Best Bezel Less phones under 15000 – It is available for CNY799. While the Redmi 5 Plus comes with a 5.99-inch FHD+ (1080 x 2160 pixels) IPS display. It is powered by Qualcomm Snapdragon 625. Redmi 5 has 3GB/4GB RAm and 32GB/64GB storage respectively. It has a 4000mAh battery. And rest features are same as Redmi 5. It is available for CNY899. Make sure to check out other post related to 5 Best Bezel Less phones under 15000. Doogee Mix Lite runs on Android 7.0 Nougat out of the box. It comes with a 5.2-inch HD (1280×720 pixels) IPS display with Corning Gorilla Glass 5 on top. The smartphone packs a 3080mAh of the battery. The device comes with 16GB of inbuilt storage which is further expandable up to 128GB via microSD card. The Doogee Mix Lite is powered by a 1.3GHz Quad-core MediaTek MT6737 processor with Mali-T720 MP2 GPU. It is coupled with 2GB of RAM. The smartphone features with the dual 13+13 megapixel camera at the back and in Front, it has an 8-megapixel camera. In connectivity, it includes Dual SIM, 4G, Bluetooth, Wi-Fi 802.11 b/g/n, Micro-USB, GPS and more. It is available for Rs.14,200. 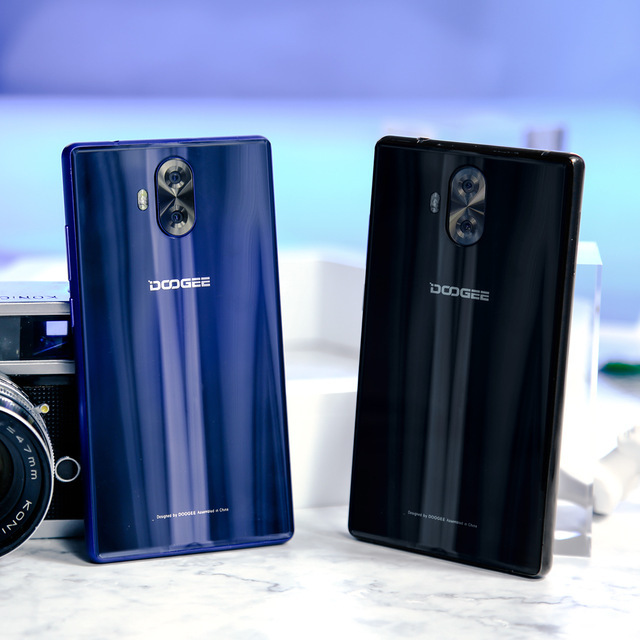 If you can spend a little more, I suggest go for Doogee Mix 2 which is a lot better than this. The Phablet runs on Android 7.0 Nougat out of the box. 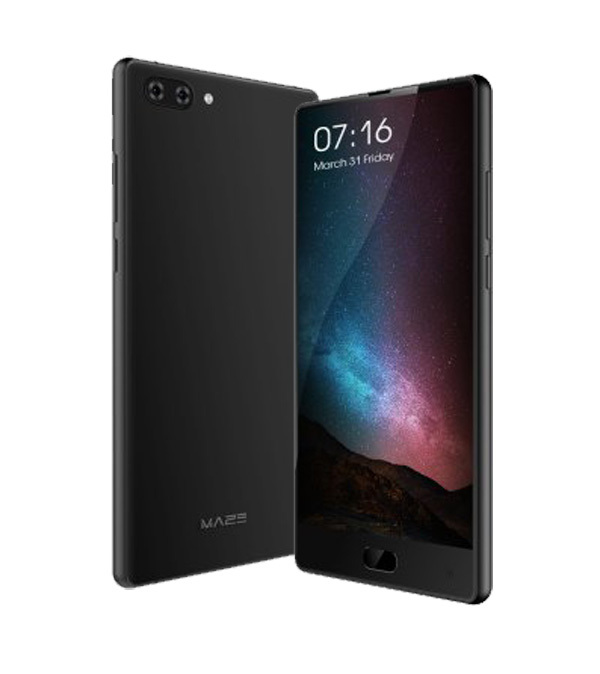 Maze Alpha features a big 6-inch FHD (1920×1080 pixel) bezel-less display with 83% screen to body ratio. Also, it comes with Corning Gorilla Glass 4 for protection and 2.5D Curved Glass. It packs with a 4,000mAh battery. It has MediaTek Helio P25 an Octa-Core processor clocked at 2.5GHz with Mali-T880 GPU. The Maze Alpha comes with 4GB RAM and 64GB of inbuilt storage which is further expandable up to 256GB via TF card. Maze Alpha comes with dual 13-megapixel + 5-megapixel rear camera with LED flash. It has a 5-megapixel front camera. In connectivity, it includes Dual Sim, 3G, 4G, WiFi 802.11 b/g/n, Bluetooth 4.1, Type-C USB, GPS and more. It is a bit heavy with 225g weight, but according to the size, it’s average. It is available for Rs.14,500. This is the last one in our list of 5 Best Bezel Less phones under 15000. This is it, If you have any other Bezel Less Smartphone, let us know we will update the list. You have read 5 Best Bezel Less phones under 15000. Stay connected to YTECHB for latest Tech News, Android & iOS Tricks, Telecom News, Accessories, Mobile Reviews and much more. Like our page on Facebook, Follow us on Twitter, and Subscribe our channel on YouTube @YTECHB. If you have any questions regarding 5 Best Bezel Less phones under 15000, ask by using #YTECHB in the comment section.